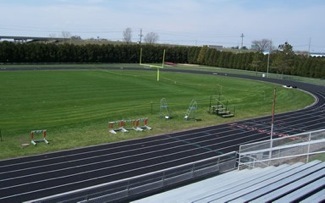 The all-weather track is located around the New Hampton High School football field. It is an official certified registered competition track with eight lanes made from polyuriathane. 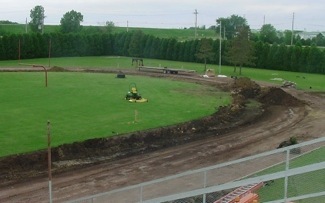 This 400 meter all-weather track was built by Steffes Construction.